The following are companies or organisations that we’d happily recommend to our clients. Please note these are not paid advertisments. Companies are listed within their REGION and INDUSTRY. Thorne Accounting has been providing specialised accounting and tax services to residential and commercial property investors since 2004. Shortland Chartered Accountants will take the complexity out of financial decision making. We will clarify the issues, reduce the uncertainty, give you clear direction and show you the way forward. EpsomTax.com Limited are property accountants, specialists in rental property accounting. Auckland-based, we have offices in Epsom, Parnell and Takanini/ Papakura. Whether it’s as simple as providing advice on investment properties or as complex as a large subdivision we have both the expertise and experience to assist you in all of the areas of Taxation, Structure and Accounting. For over 20 years, we've specialised in property investment accounting, as well as carrying out your rental property annual tax returns. 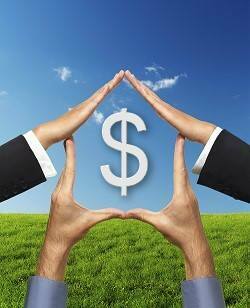 We help Property Investors in New Zealand and Australia protect assets and grow net worth. With over 28 years of experience and expertise we have a proud reputation in offering a genuine personal touch delivering taxation and business accounting services. Whether you are a rental property investor, a property developer, an Air BNB operator or rent out your holiday home we can assist you. When you work with us you will have one of our owners providing you with advice and assistance. NZINVEST are experts in property investment solutions. Since 2001 we have provided our investment property services, helping many establish their property portfolios. Build wealth in investment property while enjoying your current lifestyle. Let the experts at Goodlife do the hard work for you. 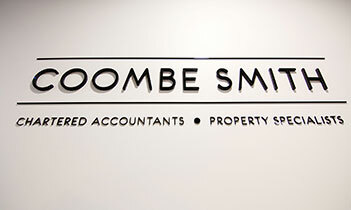 Coombe Smith Chartered Accountants in Hamilton (Waikato) is proud to specialise in property accounting. We aim to improve your rental’s performance, maximise your tax benefits and ensure you are up to date with all the tips and tricks. Mahony Horner Lawyers is a Wellington CDB firm committed to providing clear concise advice for our clients. Our firm is led by Tom Mahony and Elspeth Horner. Our specialist practice areas are insurance, commercial and property law, and dispute resolution. Working with Tom and Elspeth, our skilled team of lawyers are committed to providing excellent service in all areas of our legal practice. Mahony Horner are focused on working with our clients to understand their requirements and objectives to provide common-sense legal solutions for the real world. We're a driven team that will have your back as you smash your goals. We add to your business and property knowledge-base, take care of the tax and compliance, give pro-active advice and connect you with the right people at the right time. We'll let you get on with a balanced lifestyle doing what you love. Wealth, ambition, freedom – it could all be yours with property. Opes Partners are a dating service for property investors, matching you with the people you need to build the perfect property portfolio.